Huntsman Corporation, operating through its global subsidiary Huntsman International, manufacturers a wide range of products including: methylene diphenyl diisocyanate (MDI), polyurethanes, surfactants, amines and epoxy-based polymers. Its products are used around the world in the medical, agriculture, construction, packaging, aviation, footwear, technology, healthcare, adhesives, and electronics industries, among others. Its chief competitors in this marketplace are BASF SE, Bayer AG, and the Dow Chemical Company. Huntsman’s primary customers are GE, Unilever, BMW, Proctor & Gamble and Chevron. Huntsman Corporation operates 100 research and manufacturing facilities in more than 30 countries across the globe with approximately 53 percent of its total revenue coming from the United States. Huntsman Corporation headquarters are in Woodlands, Texas, with executive offices in Salt Lake City, Utah. 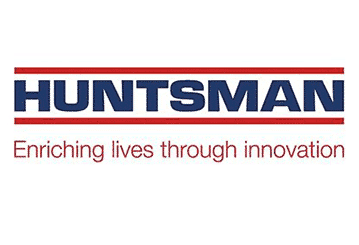 Approximately 15,000 people are employed by Huntsman at its various facilities. Jon Huntsman, Sr. founded a small plastics packaging business, named Huntsman Container Corporation in 1970. Its home was Fullerton, California. 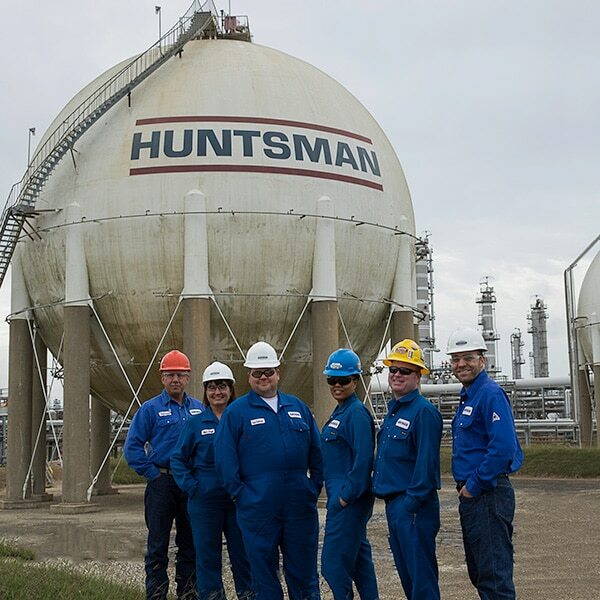 A series of strategic acquisitions helped propel Huntsman to the forefront of petrochemical companies. For instance, Huntsman acquired Texaco Chemical in 1994, giving it a huge inroad into the petrochemicals industry. After acquiring Imperial Chemical Industries later in the same year, Huntsman became the third largest petrochemical company in the United States. In 2005, it went public as Huntsman Corporation and was traded on the New York Stock Exchange. 1. Polyurethanes: providing product to more than 90 countries around the world, with production facilities in China, the Netherlands and the United States. Products include: footwear; automotive components such as seats, door panels and steering wheels; insulation; thermoplastic polyurethanes; adhesives; coatings and elastomers; bedding and furniture; and composite wood products. 2. Pigments and Additives: manufacturing products such as water treatment chemicals; color pigments; industrial products; timber treatment; agriculture treatments and white pigments utilized in the food, pharmaceutical, cosmetics, paper and inks, coatings and plastics industries. 3. Advanced Materials division: utilizing cutting-edge technologies to produce sophisticated polyurethane-based polymer, epoxy and acrylic product. 4. Textile Effects: producing dyes and chemicals, such as fluorescent whitening agents to be used in bleaching systems; dyeing auxiliaries such as polyester, wool and cellulosics; digital printing; printing auxiliaries and finishing product. Products are used in the digital printing, apparel, textile and retail industries, among others. 5. Performance Products: manufacturing more than 2,000 specialty products for the agricultural chemicals, energy, processing chemicals, additives, materials and home and personal care industries. Specialty products are primarily based on surfactants, amines, maleic anhydride and carbonates. Huntsman holds more than 5,000 pending and approved patents on technologies and products. It invests heavily in R&D designed to deliver superior product and keep Huntsman at the top of global petrochemical companies. Huntsman operates a number of charitable foundations, supporting a wide range of causes designed to improve life around the world. A cornerstone of their philanthropy is cancer research as evidenced by Huntsman Cancer Institute and Hospitals—a cutting edge research and cancer treatment center. The Center is staffed with leading researchers and cancer specialists working to bring effective relief to cancer sufferers. Additionally, Huntsman foundations support education through grants to universities and secondary schools to improve classroom delivery and teacher preparation. Other grants fund homelessness, domestic violence and global relief, including funding construction of manufacturing facilities to stimulate economies and provide employment to empower local populations.